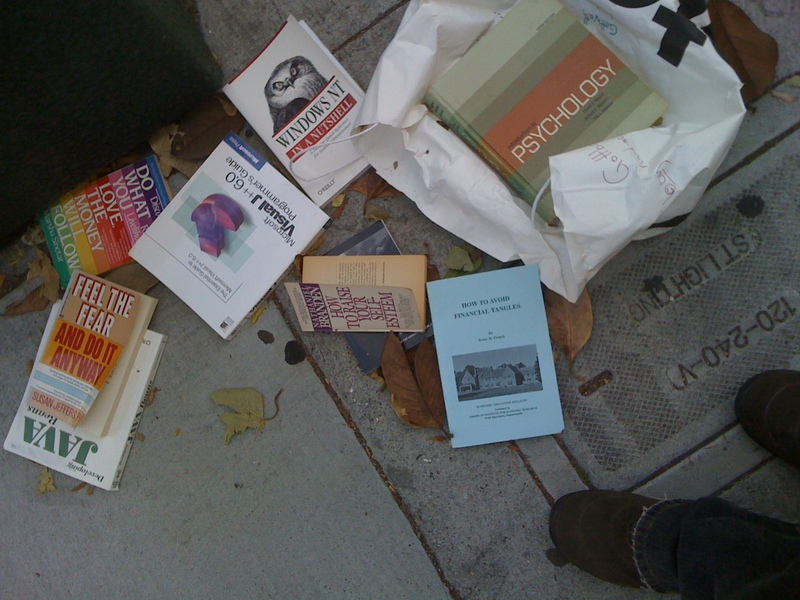 Brian and I ran across this sad, little sprawl of books while we were grabbing brunch in Cole Valley. I wonder what might motivate someone to chuck the self-help books, financial advice, and programming manuals all in one go… but I’ll let you construct your own narratives. Thanks to Brian for the iPhone photo, and look at those snazzy shoes!